I love candles. They’re awesome for adding a calm and warm atmosphere to any room and they have the added benefit of making the house smell amazing at the same time. Some of my favorite candles smell like fresh baked goods. There’s just something so “homey” about the smell of vanilla, cinnamon, and cake batter. 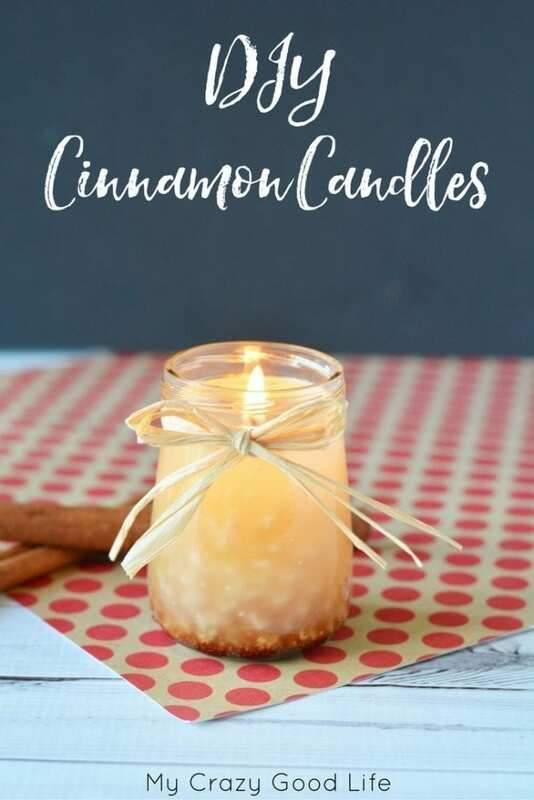 Today I’m sharing with you an easy (I mean it, they’re incredibly easy) DIY Cinnamon Candles project. 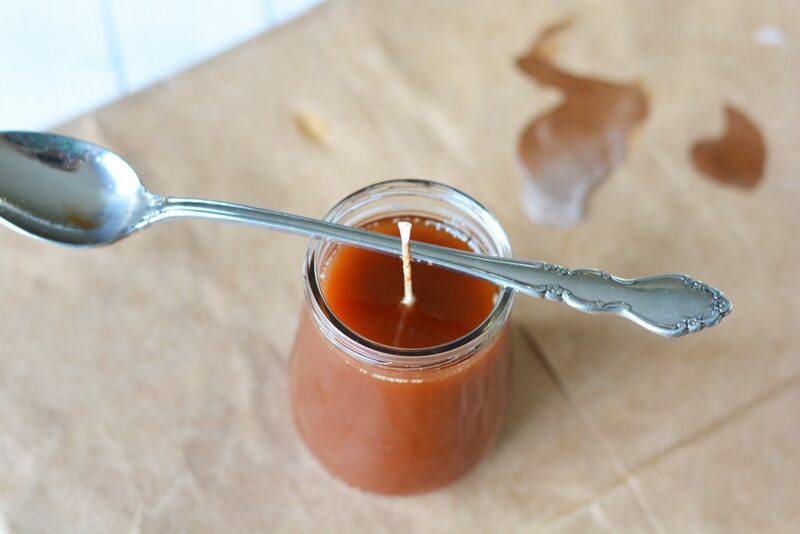 Making your very own cinnamon candles is a lot cheaper and easier than you might think! 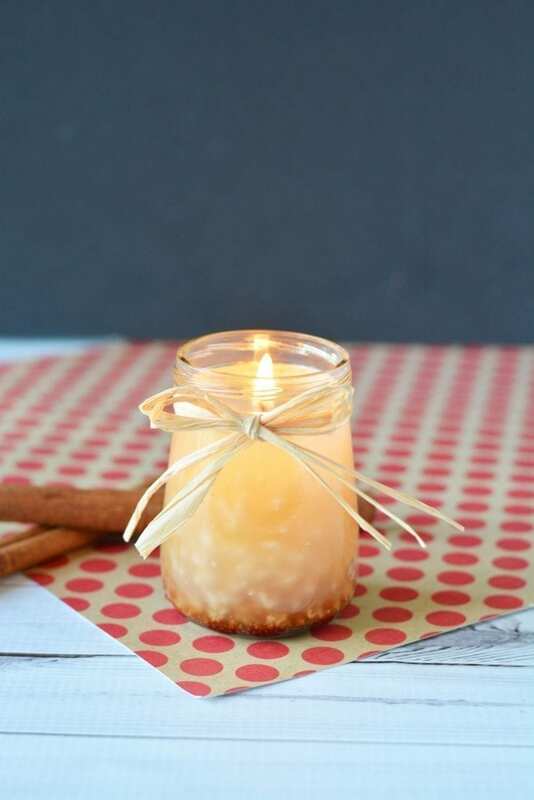 With just a few ingredients and even less steps you can create a few of these cinnamon candles. 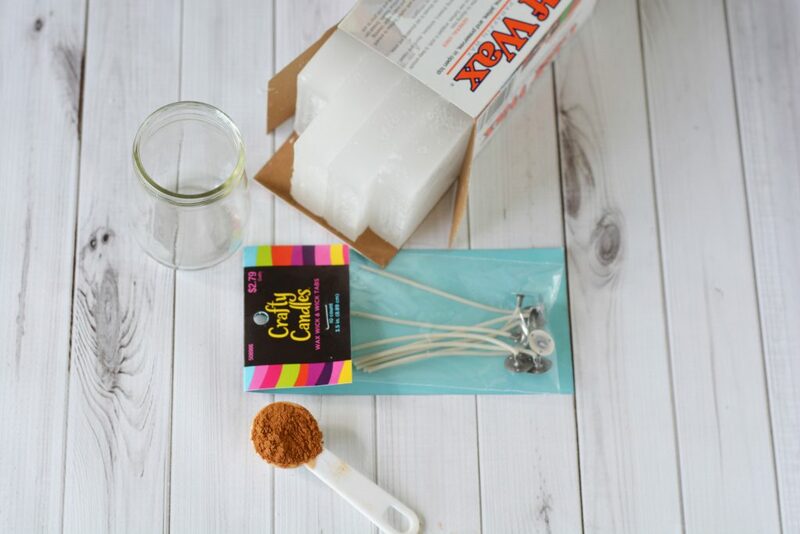 These candles will make your house look, feel, and smell amazing…If you’re not a fan of burning candles you can always pour the mixture into silicone baking molds and make your own tarts for warmers! 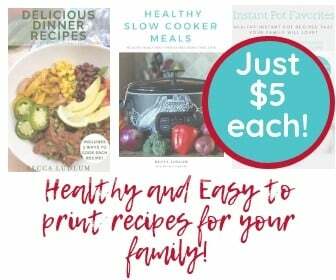 In either case, this project will yield some beautiful results that would also make amazing gifts. Important Note: Use high quality or food grade glass jars for the candles. Some of the decorative, thinner, glass containers found at some crafts stores will not be sufficient to withstand the heat of the hot wax and burning candle! Wash and dry the baby food jars and remove all labels. Place newspaper or a paper bag onto a surface to protect it. Use a hot glue gun to glue the wick to the bottom of the empty jar. Place 1 brick of wax into a saucepan. 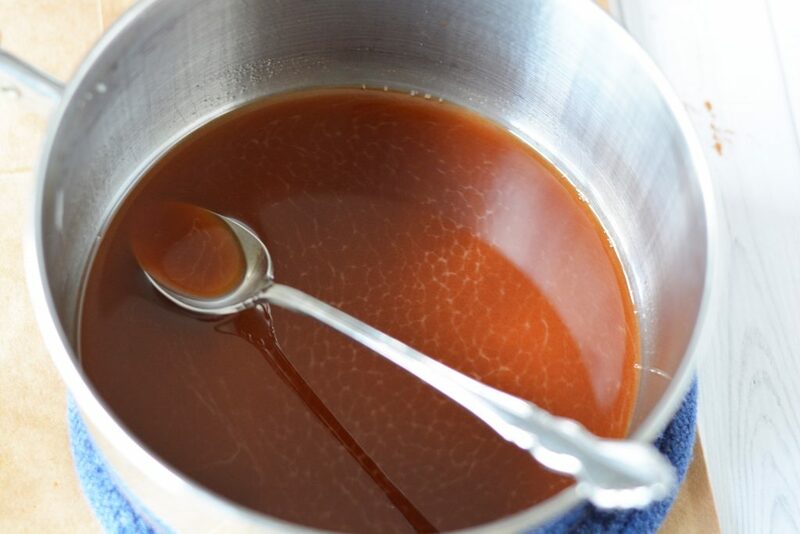 On medium heat and stirring constantly, melt wax. Remove from heat and stir in 15 drops of essential oils and 1 teaspoon ground cinnamon per 4 ounce jar/candle. Mix well. Pour wax into your jar. Let set to harden. Trim wick with scissors. The cinnamon will settle to the bottom and create an ombre effect. Tie with raffia if desired.